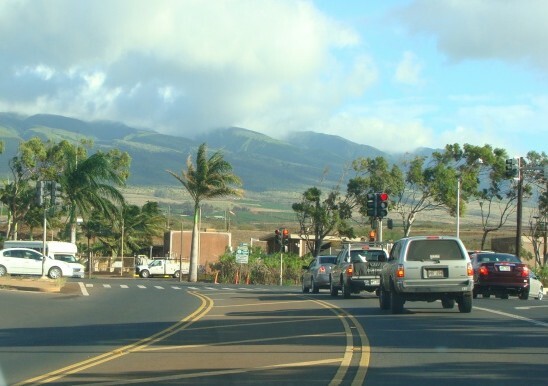 Lower Honoapiilani Highway near the Lahaina Wastewater Reclamation Facility. 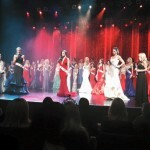 File photo by Wendy Osher. Maui County could end up paying $2.5 million for projects to divert and reuse wastewater from Lahiana injection wells, under a settlement reached in a federal lawsuit over Clean Water Act violations. Signs are posted along areas protected in the Kahekili Herbivore Management Area. File photo courtesy Division of Aquatic Resources. 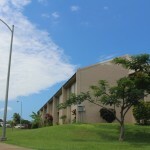 Under the agreement the county is required to come up with safer ways to dispose of wastewater at its Lahaina Wastewater Reclamation Facility. According to Earthjustice, the county will spend funds on projects designed to divert treated wastewater from the Lahaina injection wells, and reuse that water to meet existing water demands in West Maui. “The County will also pay a $100,000 penalty to the federal treasury and, to bring its injection wells into legal compliance, must obtain and comply with a Clean Water Act permit,” said Earthjustice representatives in a press release announcement today. ES-6: Infrared SST showing values of terestrial and marine waters, and the intertidal macroalgae. Image courtesy Tracer Study report conducted by UH for state DOH, and US EPA. Access to report provided by Earthjustice. County officials released a statement in response to the settlement today saying the agreement settles the penalty phase of a lawsuit, but that they plan to appeal lower court rulings relating to the case. “If successful, the County will continue operating the facility under the state and federal Safe Drinking Water Act permits. If the appeal is not successful, the County will need also to obtain an NPDES permit for continued operations and has agreed to implement a $2.5 million water-reuse project in West Maui,” county officials said. 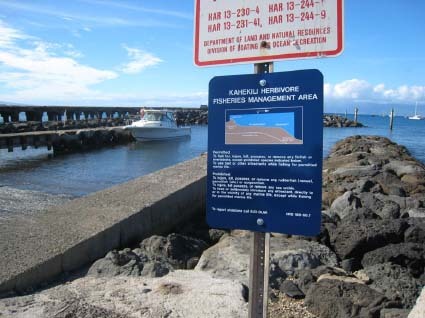 In January, a federal court ruled that illegal discharge of wastewater had occurred in violation of the federal Clean Water Act, affecting offshore waters at the popular Kahekili Beach Park in West Maui. “The Clean Water Act requires that polluters pay civil penalties for their Clean Water Act violations,” said Earthjustice attorney David Henkin in today’s announcement. 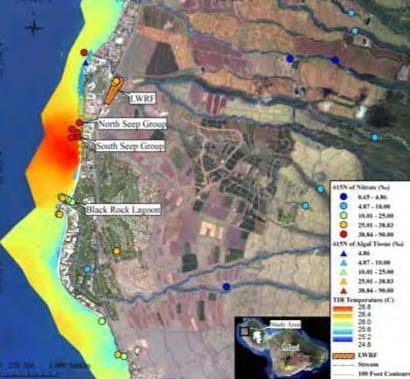 “Today’s settlement ensures the lion’s share of the penalty for the County’s years of violations will be invested to solve problems in West Maui, protecting fragile coral reefs and helping to address chronic water shortages,” said Henkin. In a statement released by the County of Maui, officials said the county applied with the DOH for an NPDES permit two years ago, and a draft NPDES permit in 2015. According to county officials, the DOH has yet to issue or comment on the permit application, and no action has been taken on the draft document. According to Mayor Arakawa, many other states discharge recycled water into groundwater for a variety of “accepted and important purposes,” including aquifer recharge and as a salt-water intrusion barrier. County officials note that the EPA estimates there are anywhere between 400,000 and 650,000 Class V UIC wells – the type of UIC well at issue in the County’s case. “In Hawaiʻi alone, the EPA reports that there are more than 5,600 such wells,” the county press release said.